From Singita Serengeti House’s expansive deck and infinity pool overlooking lush, acacia-dotted plains, guests can observe Mother Nature at work. Located in the Grumeti Reserves—an integral part of the greater Serengeti ecosystem and seasonal home to the Great Migration—this exclusive-use and family-friendly villa accommodates up to eight guests and has its own game-viewing vehicle, guide, tracker, chef, and household staff. The Serengeti is Big 5 territory. 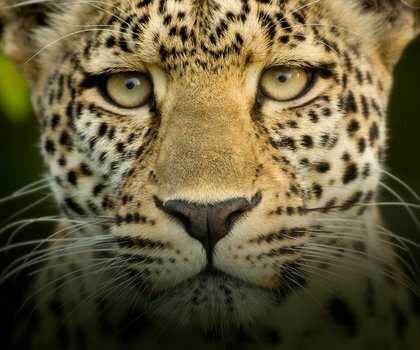 Visitors flock to its expansive game-dotted grasslands in droves in the hopes of spotting some of the wildlife that has made Tanzania such a ‘must-see’ destination. 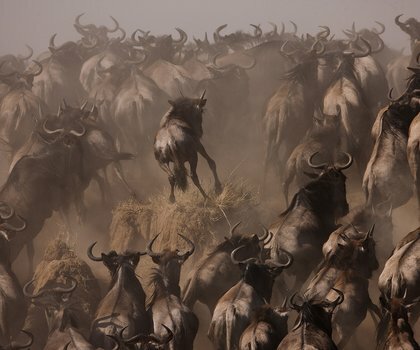 The Great Migration, a perennial cycle of life that plays out between the Serengeti and neighbouring Maasai Mara, passes through the area around the middle of the year. Endless entertainment awaits guests at Serengeti House. 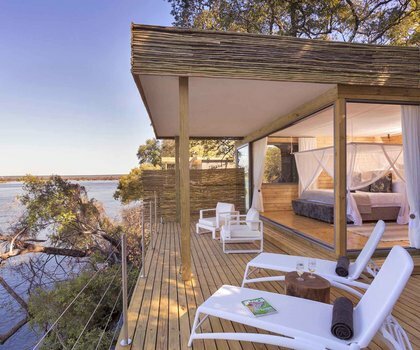 Spend your days swimming, practising archery, enjoying spa treatments, and playing tennis, while your evenings may be better suited for wine-tasting and al fresco dinners overlooking the nearby watering hole. Children of all ages are welcome and are sure to be intrigued by the arts and crafts; mini ranger; and butterfly capture, identify and release activities on offer. An oxbow lagoon brimming with hippos stands before the Grumeti Serengeti Tented Camp, located in a remote region of the Serengeti National Park. Witness the intense spectacle of the Great Migration as wildebeest, gazelle and zebra scramble across the Grumeti River where Nile crocodiles lie in wait.